Chief Constable George Hamilton was appointed chief constable in June 2014. The North of Ireland’s top police officer is to retire later this year. George Hamilton, who was appointed chief constable in June 2014, said he informed the Policing Board of his intention to leave the service in June. A police officer for nearly 34 years, he said the greatest privilege of his career “had been to serve as chief constable”. He said NI was a “much more peaceful and progressive society” than it was when he began his police career. The announcement has come as a surprise to the chief constable’s senior colleagues and members of the Northern Ireland Policing Board. He had been expected to accept a three-year contract extension that was offered when he met the board last week. His decision to decline the offer followed discussions with his wife and four children over the Christmas period. Sources say George Hamilton broke the news to his senior command team this morning and then informed the board chairman, Anne Connolly. He told them he is retiring to spend more time with his family. 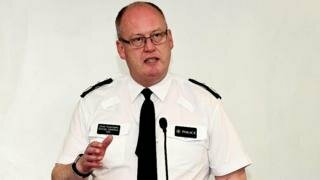 No current member of the PSNI command team can apply to succeed Mr Hamilton as chief constable. The current eligibility criteria states that an applicant must have completed a national senior command course and served at least two years in a police force outside Northern Ireland. 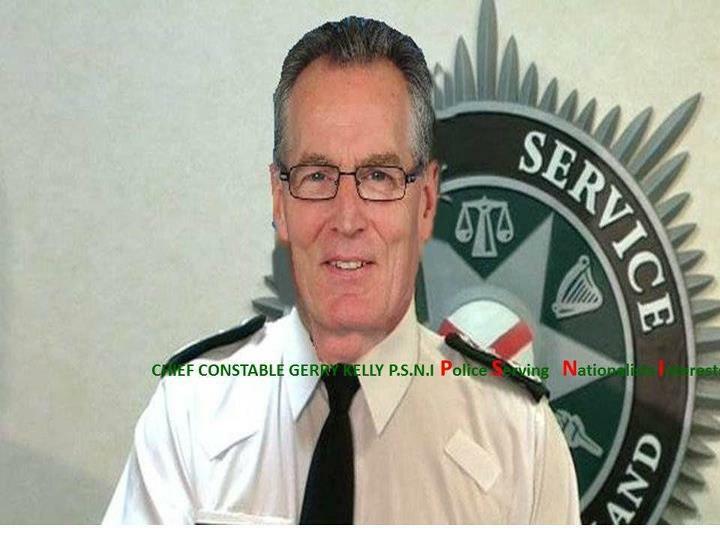 After joining the Royal Ulster Constabulary (RUC) – the predecessor of the Police Service of Northern Ireland (PSNI) – in 1985, he worked in a number of roles including a stint as assistant chief constable of Strathclyde Police. “I am privileged and humbled to have led the dedicated officers and staff of the PSNI and to have worked in partnership with so many people committed to public service in Northern Ireland and beyond,” said Mr Hamilton. He said that there were challenges in the months and years ahead “but we have overcome greater challenges in the past and there is nothing that cannot be achieved if the police, our partners and the community continue to work together”. Anne Connolly, chairwoman of the Northern Ireland Policing Board, said the board respected Mr Hamilton’s decision not to accept a three-year contract extension last week. She said recruitment for a new chief constable would be considered at a meeting on 6 February. The Policing Board was established as part of policing reforms after the 1998 Good Friday Agreement, which helped bring about the end of the Troubles in Northern Ireland. The PSNI has made a calculation of risk versus resources and decided it cannot take the Carrickfergus approach in east Belfast. SO IT can be done. The RUC/PSNI has faced down loyalist rioting in Carrickfergus, thought to have been orchestrated as a warning against arresting members of the ‘bad’ UDA. 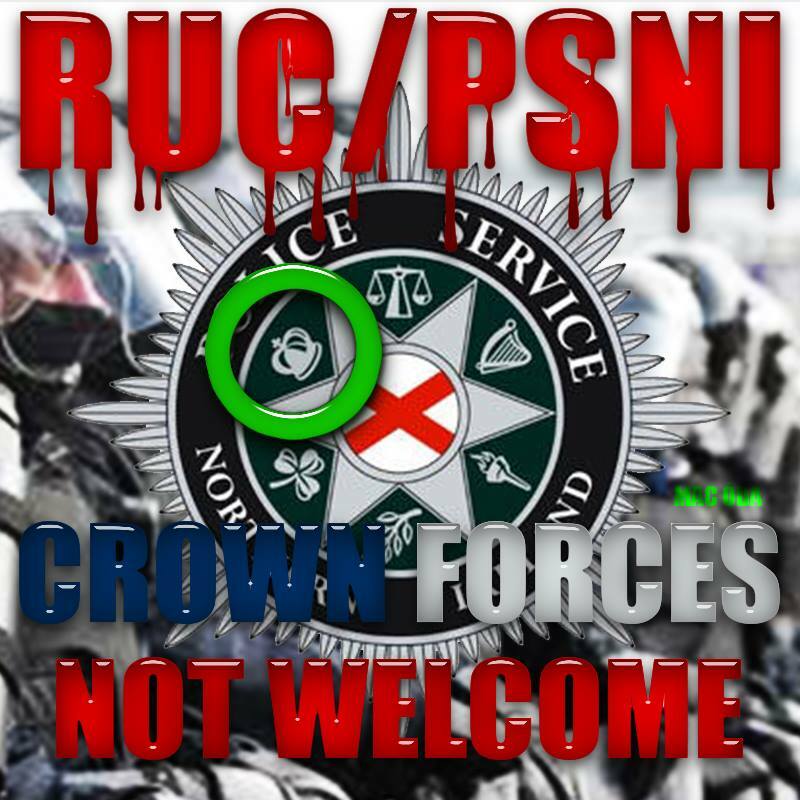 The RUC/PSNI has wiselyaking arrests in Carrickfergus while investigating a riot in Larne two weeks ago, also thought to have been orchestrated as a warning against arresting members of the bad UDA. 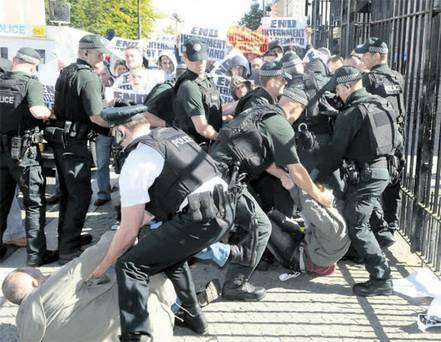 The trouble in Carrickfergus broke out last Thursday evening, ironically just and the Queen had hosted a reception in Windsor Castle to celebrate all that is greet about the North of Ireland. Fifty masked men engaged in three hours of serious disorder, reportedly after a gun was found during a police search of a senior UDA man’s address. 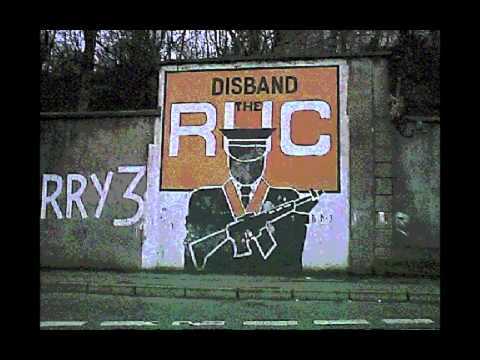 The RUC/PSNI responded robustly to this challenge to its authority, warning that further was planned for the following night then swamping the area to prevent it. Assistant Chief Constable Will Kerr identified the South East Antrim UDA as responsible and warned police will “disabuse” it of any notion it is “in control”. This does not appear to Eastny empty threat. Investigations into the Larne rioting have continued, with 16 arrests, 40 properties searched and 800 items seized as of the end of last week. “There will be consequences” for the Carrickfergus rioting as well, Kerr added. The line being drawn in Carrickfergus suggests a firm reversal of the appeasement policy that saw the RUC/PSNI apologise to “community representatives and others” for provoking UVF riots in the town three years ago. If so, it is a welcome devolopment but it raises the question of why an equally robust approach cannot be taken towards the bad UVF in east Belfast. 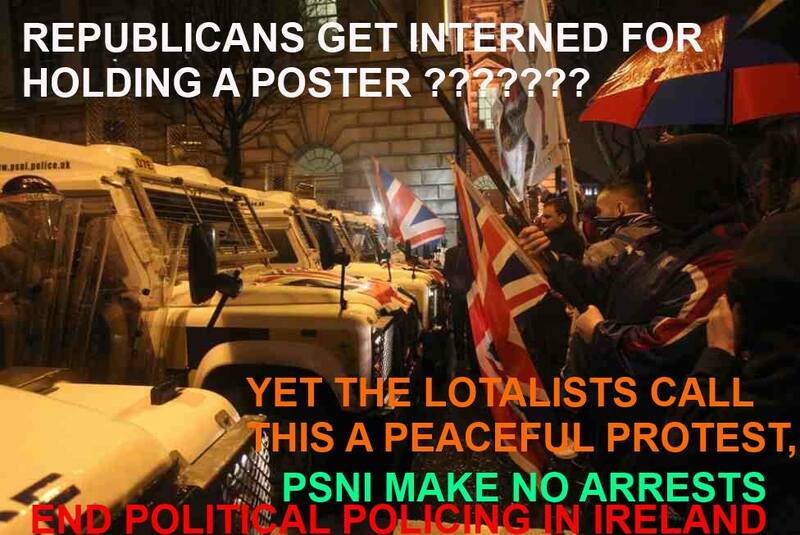 Where are the arrests, searches and seizures targeting loyalist ring-leaders after three years of rioting there? Far too many damaging conspiracy theories have filled the void left by that lingering question. However, the simplest and likeliest explanation remains the one given, albeit obliquely, by the RUC/PSNI. Loyalism in east Belfsat is beleived by senior officers to be too big and dangerous to takle head on. This is why Cheif Constable Matt ( the maggot) Baggott repeats a mantra about the “right to life” and congratulated the PSNI/RUC for getting through the year of flag protests without any fatalities. Other police statements about “public support” for loyalists and the need for policing to have “community consent” are similarly code for not provoking deadly violence. Despite the fashionable language and arcane backroom dealing there is no particular principle at work in the appeasement of the bad UVF. It is merely a problem of scale. The RUC/PSNI has made a calculation of risk versus resources and decided it cannot take the Carrickfergus approach in east Belfast. Once stated, this looks obvious but the point is that it is never openly stated. The RUC/PSNI is not telling the Policing Board or the Stormont executive to provide it with the resources to put the ‘bad’ UVF out of business. Instead, it is making excuses for itself that feed further official appeasement, such as the executive’s ‘social investment fund’ for loyalist-nominated projects or the Policing Board’s acquiescence of UVF-linked members of local Policing Partnerships. If the RUC/PSNI would admit to what is going on in east Belfast there would be less paranoia and just importantly there could be a proper assessment of the varibles. How much more dangerous is delinquent loyalism in east Belfast than in South East Antrim? Last week’s trouble in Carrickfergus was modest but the 2011 rioting was widespread, extraodinarily violent and organised almost immediately. Carricfergus also witnessed larger and more disruptive flag protests than east Belfast, with more loyalist input, at least initially. Yet existing resources, deployed promptly and wisely, appear to have loyalist brigadies in retreat. On the other side of the equation, is the the risk of tackling loyalism being offset against the risk of not tackling it? Over the past year the UVF in east Belfast has been linked to two attempted murders and and more than a dozen drugs-related deaths. 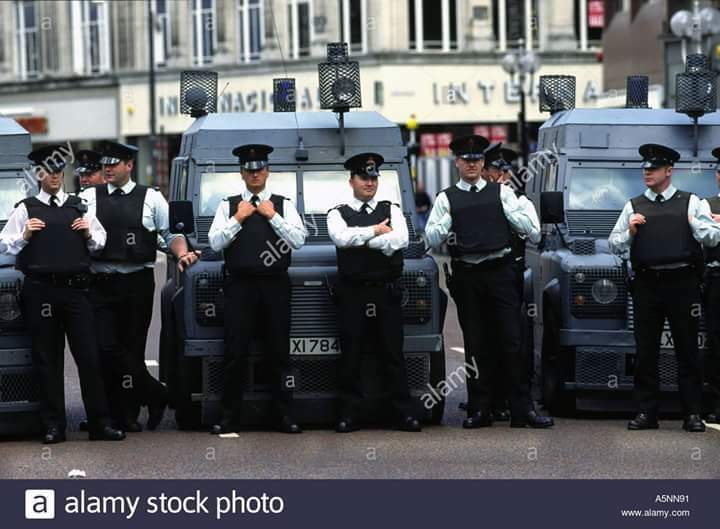 The Human Rights Act places the right to life secondary to “quelling a riot” because it understands that all rights ultimately rest on the rule of law. We should have a new cheif constable by October. Even if he or she does not admit to making a loyalist calculation, they may reach a different answer. That just leaves the small matter of the ‘good’ UDA and UVF, who are apparently still among the things that are great about the North of Ireland. With many thanks to: Newton Emerson, The Irish News, ( for the origional story). HET findings published as Haass talks break up without agreement -into ‘Shot-to-Kill’ policy’s in the North of Ireland. TWO IRA men were shot in the back by SAS soldiers in Co Tyrone 30 years ago, a report has found. The families of Colm McGirr (23) and Brian Campbell (19) on Monday 30th December said they planned to sue the British government and wanted fresh inquests into their deaths. The news came as US diplomat Richard Haass failed to make the party’s in the North of Ireland come to an agreement on dealing with the past, parades and flags. Among the issues holding up the progress have been mechanisms for giving evidence to Historical inquires by bodies taking over the functions of the PSNI‘s/RUC‘s Historical Enquires Team (HET) and the Police Ombudsman. The fresh report into the Co Tyrone killings was carried out by a forensic pathologist for the HET. It appears to contradict accounts given by the undercover soldiers who claimed the pair were shot dead while pointing weapons towards them. Mr McGirr and Mr Campbell, who were members of the Provisional IRA, were murdered by the SAS in a field on Cloghog Road near Coalisland, Co Tyrone, on December 4 1983. A third man was injured but escaped. 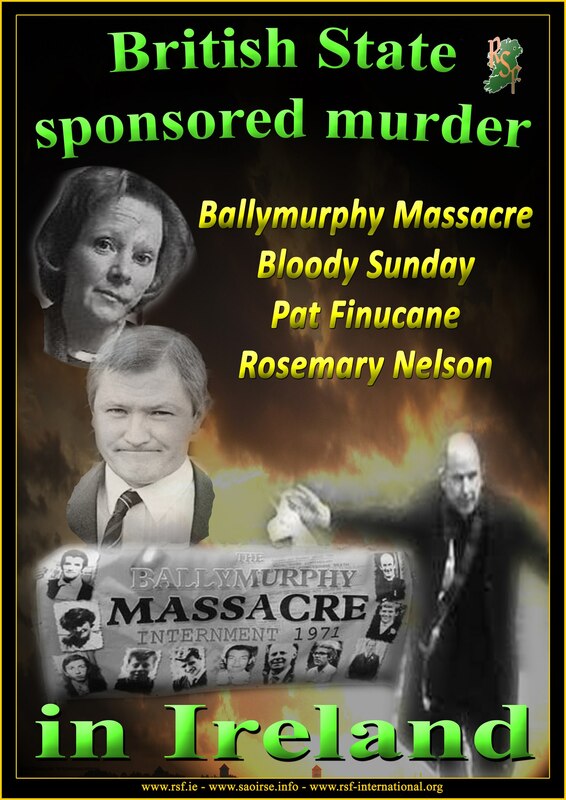 Their deaths fuelled claims of a ‘shoot-to-kill’ policy by the British government against IRA members. Testimony from the soldiers had claimed that the men were removing weapons hidden in the field and on being challenged “Colm McGirr turned and pointed a shotgun towards one of the soldiers who then fired several shots at him”. Forensic pathologist Richard Shepherd reviewed the postmortem examination scene photographs and statements from four of the six soldiers prescent. He said he did “not believe Colm McGirr would have turned far enough to threaten soldiers” and “no shots had struck Brian Campbell from the front”. In his report, which the families have received, he concluded that because Mr McGirr was right handed, he did “not believe he would have turned far enough to threaten soldiers” if he was holding a weapon. “In my opinion therefore it is more likely that [Mr McGirr] received shots to his right side and back as he was facing into or towards the bush,” he said. The SAS also claimed one of the squad, known as Soldier A, then fired towards Brian Campbell who was holding an armalite rifle and had also turned and was facing them” However, Dr Shepherd concluded that “no shots had struck Brian Campbell form the front”. “I cannot exclude the possibility that the injury to the left upper back was inflicted as he lay on the ground,” he said, without ruling out the soldiers’ version of events in both cases. The IRA men’s families have now called for a fresh inquest into their deaths/murders. Solicitor Padraig O Muirigh, acting on behalf of the relatives said they would also take legal action against the British government. With many thanks toto: The Irish News. ‘Judith has made an enormous contribution to policing in the North of Ireland– Anne Connolly. The North of Ireland‘s most senior female officer on Friday announced her intention to take early retirement, less than a year after turning down a £500,000 payout to remain in the service. Deputy Chief Constable Judith Gillespie had been widely tipped as the frontrunner to replace Matt Baggott (maggot) as chief constable when his contract ends next year. With 32 years of policing experience she made history as the first female assistant chief constabe in 2004 before being promoted to her present role in 2009. The Policing Board was told of her plans on Friday. Although Ms Gillespie is expected to receive a lucrative redundancy package, she will not be entitled to the £500,000 she would have received under the Patten arrangements. The deadline to avail of the scheme aimed at readdressing the religious imbalance of the police service ended in March 2011. At the time Ms Gillespie said she decided against taking the package because policing “is about far more than the financial rewards”. Her job is to be advertised in the new year. She will vacate the post on March 31. Althouh Ms Gillespie has not made public her post-PSNI plans sources say she has been approached by an international privite-security firm to act as a consultant. A PSNI/RUC spokesman said: “We can confirm that Deputy Chief Constable Judith Gillespie has notified the Policing Board of her intention to retire from the Police Service of Northern Ireland. “She has served as deputy chief constable for the past four and a half years and has served a total of 32 years as both a member of the Royal Ulster Constabulary (RUC) GC and PSNI. “PSNI will not be making any further comment at this stage.” Board chairwoman Anne Connolly said: “Judith has made an enormous contribution to policing in the North of Ireland. “As a chief officer, deputy chief constable Grillespie has provided strong leadership to the service in driving forward a programme of policing change and reform. “A strong advocate for women in policing, Judith championed the introduction of the first gender action plan and diversity strategy for policing in the North of Ireland. “A positive role model, Deputy Chief Constable Gillespie has used her wide-ranging experience to provide inspiration and encouragement to officers and staff both within the Northern Irish community and within policing nationally and internationally.” The DUP’s Policing Board group leader, Jonathan Craig MLA said Ms Gillespie “can look back with pride on a number of distinguished achievements throughout her 32 years of service”. “Undoubtedly, this accomplishment still acts as an inspiration to others. Whilst we may have taken differing views on a range of matters at the board, I wish Deputy Chief Constable every success for her future wherever that may lead,” he said. Smithwick’s significance is political ‘NOT’ legal !!! If the IRA was fighting a war, then this was a war crime – along with all their war crimes from Kingsmill to the Birmingham pub bombs. WHO WOULD you rather beleive: Gerry Adams or former RUC Chief Constable, the late Sir John Hermon? Mr Adams has come under attack from a number of politicians and commentators for his comments on the findings of the Smithwick Tribunal. He said that Chief Superintendent Breen and Superintendent Buchanan had a laissez-faire attitude to their safety. It was an insensitive remark, but what if someone else had made thatt point, would it have been acceptable? As it happens, someone else did make that remark – more or less. Quoted in Toby Harnden‘s book “Bandit Country” Sir John said of the late Bob Buchanan‘s activities on the day he died: “He did not follow basic, elementary security procedures.” Hermon claimed that Mr Buchanan did not beleive in taking precautions because, as a devout Christian, he beleived God was in control. If Sir John was right, so was Mr Adams – although Sir John does not appear to have been vilified. Reaction to the Adams comments tells us three things: any inquiry into the past is interpreted as political ammunition for the present; too many politicians do not want the truth about the past, they just want their prejudices confirmed and, thirdly, personalising our politics tends to suffocate valid political tends to suffocate valid political comment. With due respect to the two dead RUC officers and their families, Smithwick’s significance is political rather than legal. Using the word “collusion” has major political implications. It is a heavily loaded word, which would probably be worth a million points in Irish political Scrabble. But the possible existence of one or even two Garda informants does not represent collusion. Gerry Adams said that Smithwick’s idea of collusion is very different in form and scale from the collusion that occoured in the North. Mr Adams is right. The IRA presumbly had moles in many organnisations, possibly even the RUC. But Smithwick’s findings allow unionists to use the word collusion (without firm evidence) thereby giving them a higher moral ground than previously. Unionists suggest there was also collusion in 1969 when the Provisional IRA was founded. There was certainly an attempt by some elements in Fianna Fail, the Irish intelligence service and assorted Catholics to take control of the Civil Rights Movement and to direct the then IRA away from socialism. Some of those involved at the time say as early as Sunday August 24 1969 – just over a week after the burning of Bombay Street – older, non-active IRA men meet these elements and agreed to break away from the existing IRA leadership in Belfast in return for money from Dublin. There were two founds for Northern relief – the official Irish government fund for refugees and a Fianna Fail fund. The two may well have become intermingled, but there is no evidence that the government as a corporate body was intent on anything more of that was a political window dressing. 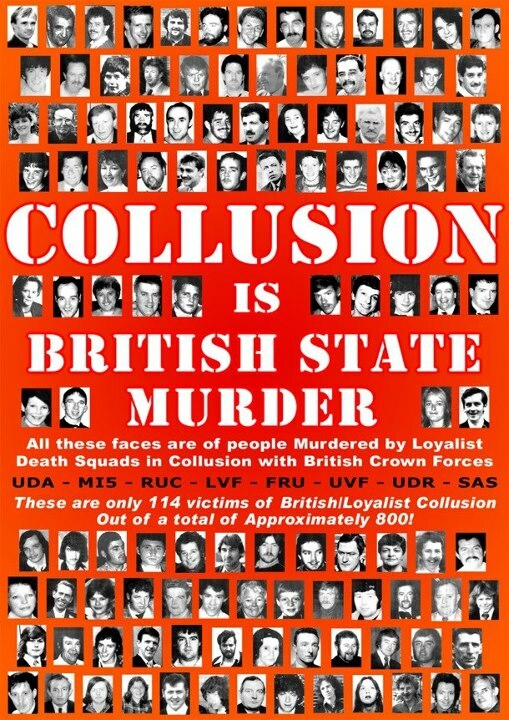 However, the lack of evidence on collusion then and 1989 does not vindicate the Provisional IRA campaign of violence. It was unnecessary, sectarian, brutal and futile. The deaths of Harry Breen and Bob Buchanan, for example, broke the Geneva Convention by killing unarmed men and, in particular, by killing one who was injured and trying to surrender. If the IRA was fighting a war, then this was a war crime – along with all their other war crimes from Kingsmill to the Birmigham pub bombs. That is where Sinn Fein is open to critcism. 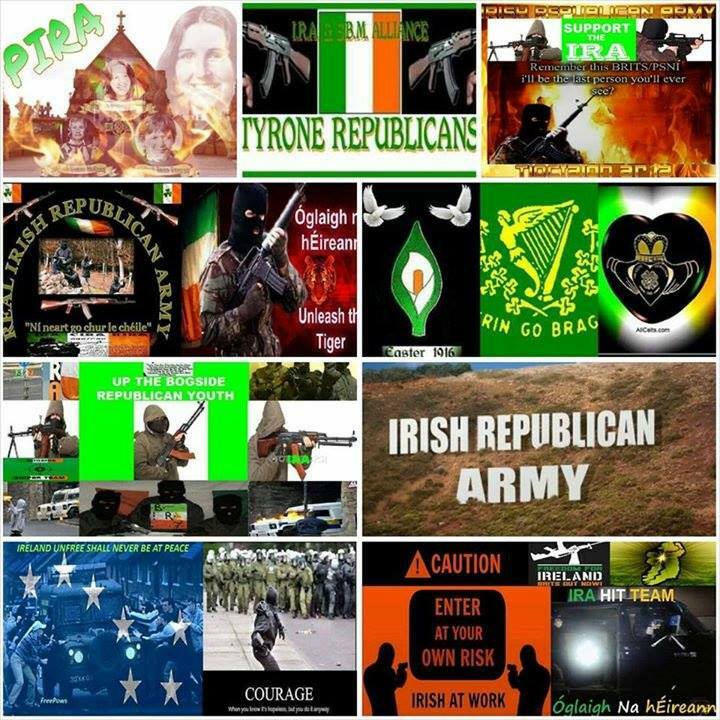 What was the Provisional IRA campaign for? Pearse Doherty TD said this week that the campaign was to defend local communities. (Whom does he think the 21 dead in the Birmingham pub bombs were going to attack?) However, also this week, John O’Dowd described it as ” a conflict between nations and communities”. This largely confirms that Sinn Fein has finally abandoned Irish Republicanism and opted instead for Britain’s two nations theory, by suggesting that only Catholics can be Irish. The political impact of Smithwick’s is that it nudges our history towards the erroneous veiw that the violence here was carried out by two sets of paramilitaries, each backed through collusion by different national governments. The two nations theory is slowly becoming official which, oddly, suits Sinn Fein. 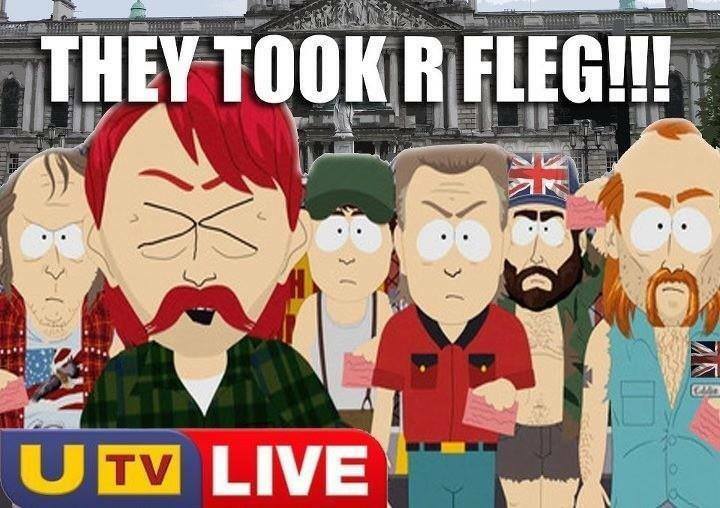 The above comments represent valid veiws on Sinn Fein policies, past and present. You can agree or disagree with them. In that the context you can agree or disagree with Mr Adams, but no one has the right to disagree with the truth just because they dislike the person speaking it. Personal attacks are no substitute for political analysis. With many thanks to: Patrick Murphy, The Irish News. A letter that appeared in The Irish News – Tuesday December 10 2013. Abuse from ‘voices of perfection’ is unwarrantd. THE CONCLUSION of the Smithwick Tribunal that Garda officers colluded in the murder of superintendent Breen and Buchanan is deeply disturbing and if true that one or more members of An Garda Siochana ( the guardians of the peace) colluded with the IRA in the murders of superintendents Breen and Buchanan then not only are they guilty of murder but they let down an entire police force. 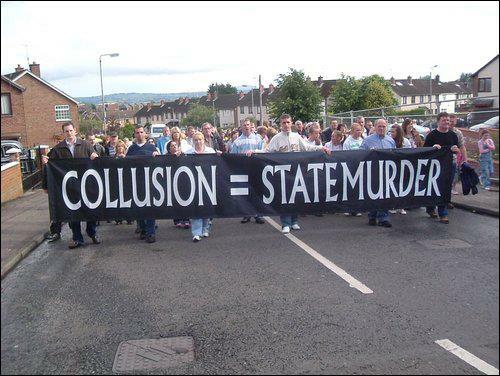 Unfortunatley there are now unionist politicians who remained silent or indeed excused compelling evidence of collusion in the North over the years but delighted to rush to the media to smear the entire Garda Siochana and that is not only unjustified but it must not be allowed to happen. Garda officers, many of them now retired, were stationed in the border areas during the best part of their lives to protect life and limb. Is history now to be rewtitten, as it often is, to misrepresent those officers as villains involved in collusion leading to the murder of police in the north? I should think not. During the period from the 1970s to the 1990s the Republic, with very limited resources, spent more per head of population on security than the British did, much of that in the border areas. 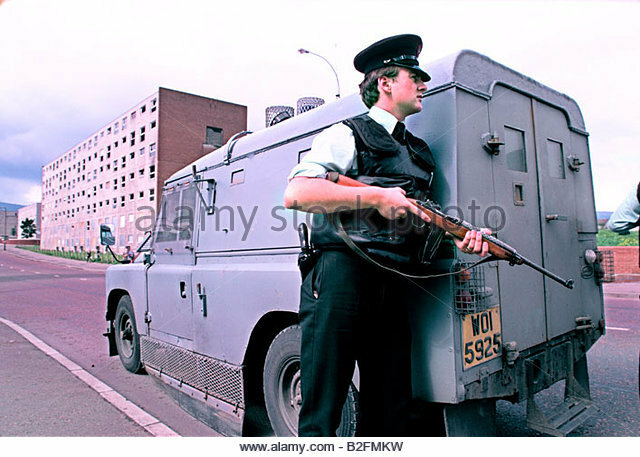 Often Garda stations on the southern side of the border had more manpower than their counterparts on the northern side and they worked for a fraction of the salary their RUC conterparts but they did it not for money but to protect the lives of people. They were noble officers who were not influenced by the IRA or any other illegal organisation. Is this now to be dismissed because there may have been one or perhaps more rotten apples in the barrel? Like police forces all over the world the Garda have had their problems and the need for reform but they do not deserve the kind of abuse which is now emanating from the usual suspects who ignored, dismissed or excused widespread collusion in the north but now want to present themselves as the voice of perfection ignoring the fact that Garda officers made a massive contribution to limiting the number of people who may otherwise have died in those days of total madness. With thanks to: John Dallat MLA, SDLP, East Derry. Author seachranaidhe1Posted on December 10, 2013 December 10, 2013 Categories BUTCHER'S APRONTags Adams, Birmingham, bob buchanan, Chief Constable, chief superintendent, Chief Superintendent Breen, Civil rights movement, Garda, Garda Síochána, Gerry Adam, Gerry Adams, IRA, Irish News, John Hermon, Provisional Irish Republican Army, Royal Ulster Constabulary, Sinn Féin, Smithwick, Smithwick Tribunal, Superintendent Buchanan, Toby Harnden, War crimeLeave a comment on Smithwick’s significance is political ‘NOT’ legal !!! BALLISTICS tests on the gun used to kill pensioner Roseann Mallon were done by RUC Special Branch officers who might not have been properly qualified, an inquest has heard. 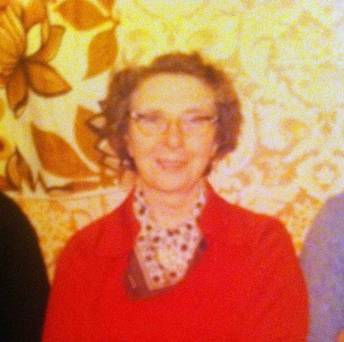 Ms Roseann Mallon (76), was gunned down as she watched television at her home in Dunngannon, Co Tyrone, on May 8 1994. The Czech-bought assault rifle, now linked to 11 other murders and two attempted murders, was first examined at the Weapons and Explosives Research Centre (Werc) – a previously unheard of unit located within the Northern Ireland Forensic Science Laboratory, the court was told. Mr Justice Weir, who is hearing the long-awaited inquest, said: “This is the first time it has ever come to my attention that there was a forensic system.” Ms Mallon (76) was gunned down as she watched television at a house near Dungannon, Co Tyrone on May 8 1994. The spinster, who had been staying with relatives because she felt vulnerable, was unable to escape when two loyalist gunmen indiscriminately opened fire on the bungalow on Cullenrammer Road. The UVF said its mid-Ulster brigade had been responsible (although it was widely beleived to be members of Billy Wright‘s LVF gang) and were targeting two of her nephews Christopher Mallon, who was not home at the time and Martin Mallon who lived half a mile away. In the wake of the shooting, British army spying equipment was found in a nearby field sparking claims of security force collusion. Last week it emerged that the Historical Enquries Team (HET) – a specialist unit set up to re-examine Troubles-related cold cases – had linked the murder weapon to the UVF killings of Charles and Theresa Fox at the Moy, Co Armagh, in 1992, as well as the murders of John Quinn, Dwayne O’Donnell, Malcolm Nugent and Tommy Armstrong outside a bar in Cappagh, Co Tyrone in 1991. But, Barry McDonald QC, who is representing the Mallon family, said the rifle was now known to have been involved in at least eight incidents that resulted in 11 murders and two attempted murders. He said inaccurate information that the gun had no previous previous history was fed into the the system by Special Branch. Mr MacDonald said: “The practice seems to have been when cartrige cases were collected they were forwared to the Forensic Science Laboratory of Northern Ireland but it was the Werc who conducted their investigations and provided a steer. “The upshot is that these incorrect conclusions have been made by a section of Special Branch in circumstances where the object of this entire exercise – that’s this inquest – is to allay suspicion and rumour about the involvement of Special Branch.” Judge Weir told the court he had never heard of Werc despite a lengthy career as a defence barrister and judge. He also expressed concern that they were not ballistics experts and said he would be demanding a full explanation on how they operated and who took the decision to conceal their existence. Martin Mallon said the family had been left bemused by the latest revelations. He said: “We have had Special Branch hiding behind screens, we have heard evidence about burning notebooks and items being destroyed. We have consistently heard about Special Branch being a force within a force and now it appears that Werc was unit within a unit. Notorious killer Billy Wright and two other loyalists were arrested and questioned about Ms Mallon’s murder but no-one has ever been convicted. Sinn Fein MLA Sean Lynch, who sits on the Stormont justice committee and is a Mallon family friend, said: “It is obvious that the British state is covering up, delaying and prevaricating on vital evidence – particularly around ballistics.” The inquest has now been adjourned until May to allow the HET to complete its investigation into 24 murders in the East Tyone area between 1988 and 1994 – including Ms Mallon’s murder.